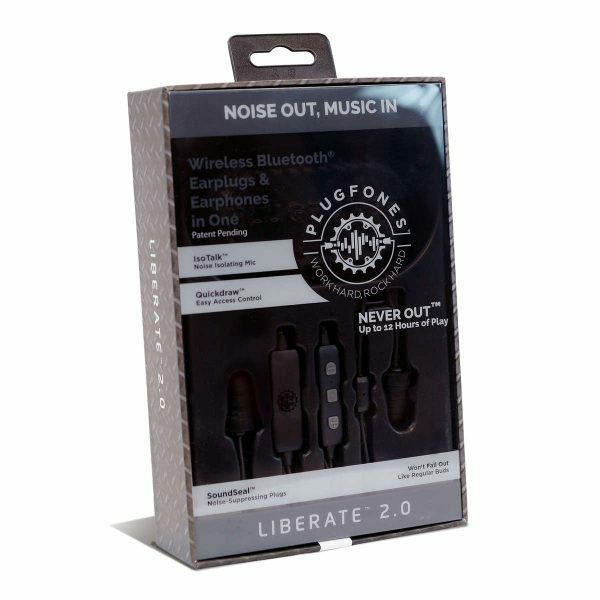 The next generation noise isolating, wireless, bluetooth earplug/earbuds hybrid unlike any others! 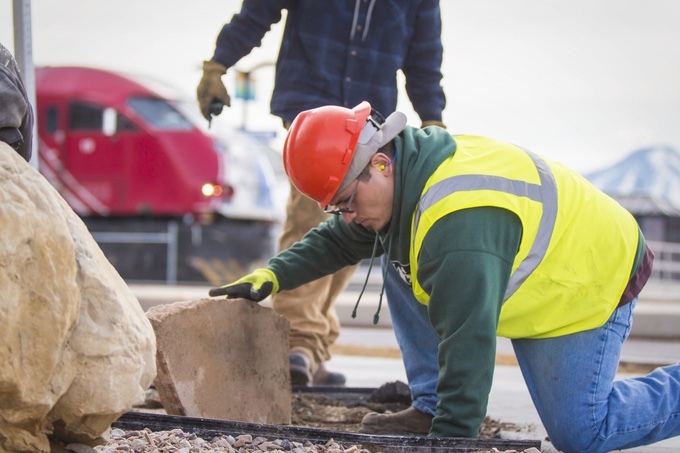 Plugfones are earplug headphones designed for hearing protection at work, home, play, and travel. 25db NRR-certified, comfortable earplugs with Bluetooth Liberate wireless stereo speaker headphones to play your favourite tunes. 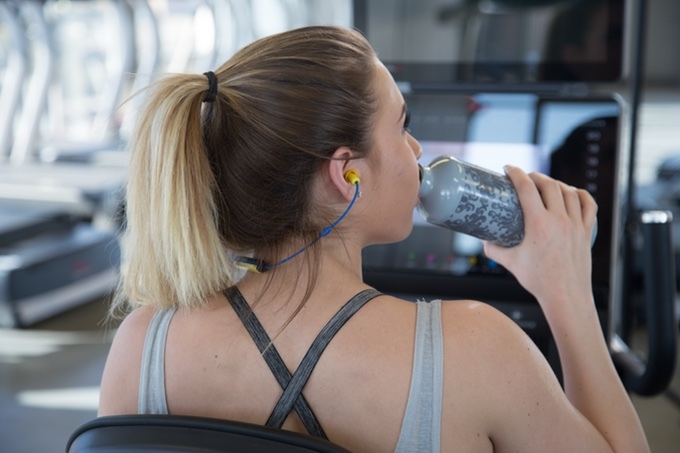 In the late 2000s, we recognised a great need in many workplaces—people were required to wear hearing protection but wanted to listen to music at the same time. That’s why we created Plugfones. 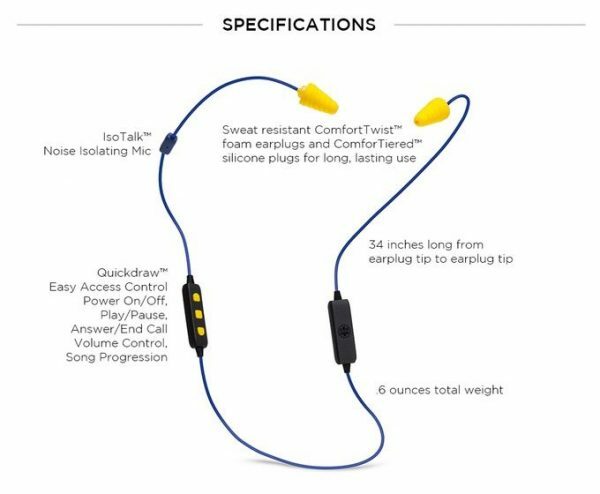 We’ve combined comfortable, noise-reducing earplugs with high-quality audio speakers. 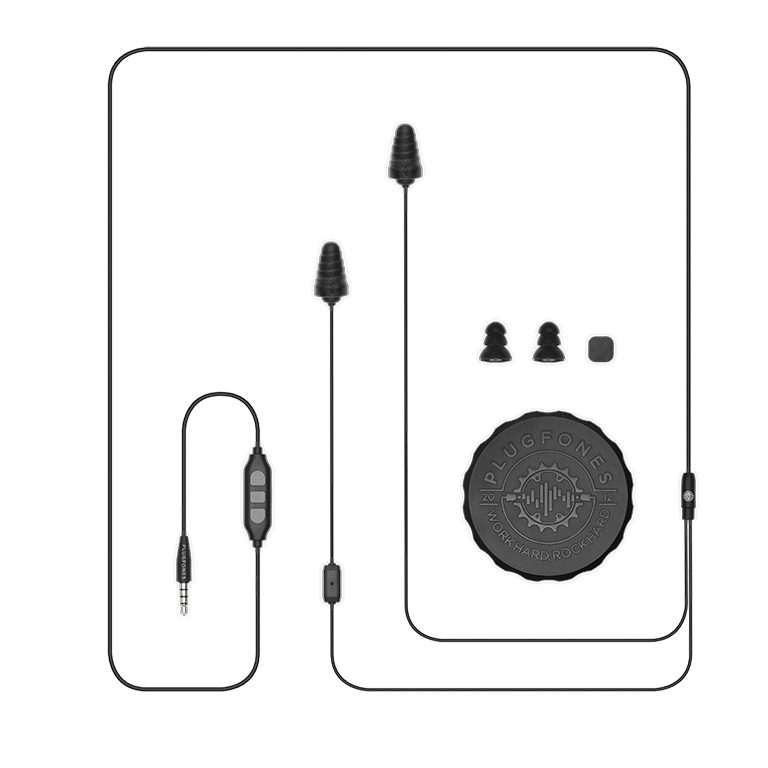 The resulting hybrid provides the ultimate hearing protection + listening experience on the market. Who doesn’t agree that work should be enjoyed? 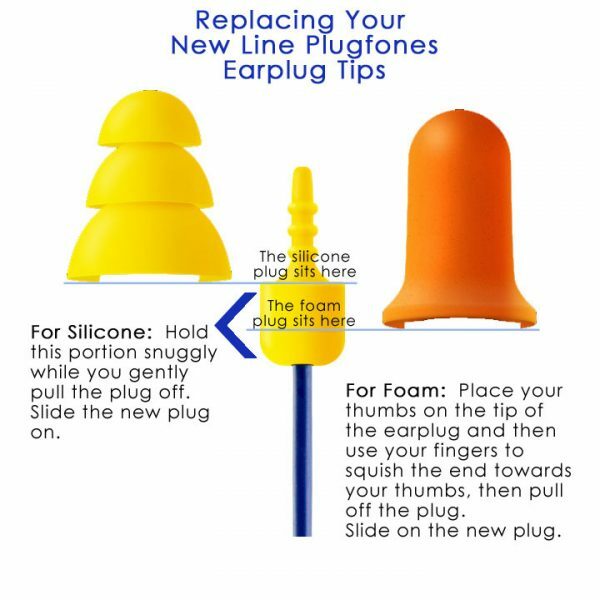 Thats why Plugfones created an earplug-earbud product to help you do exactly that. 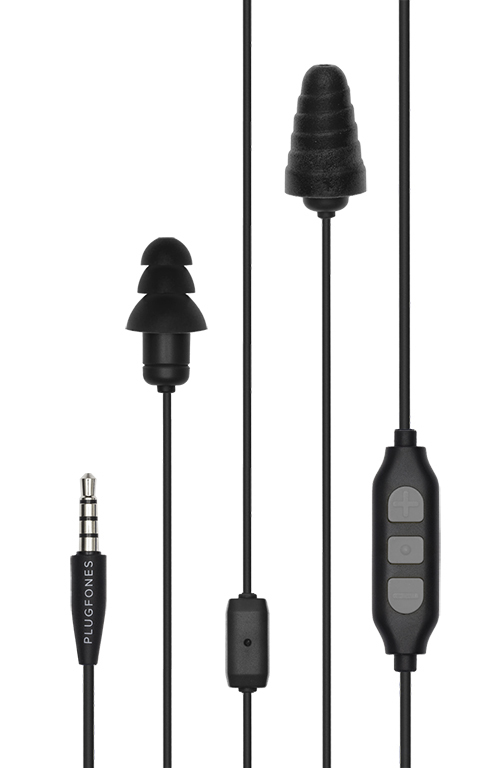 The unique earplug tips surpass the quality of traditional earplugs and fit securely in your ear without falling out. 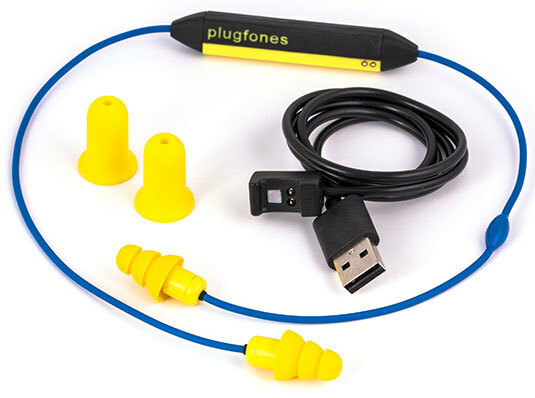 Unlike traditional earplugs, Plugfones allow you to hear outside low-level noises while listening to music, audiobooks, or podcasts. 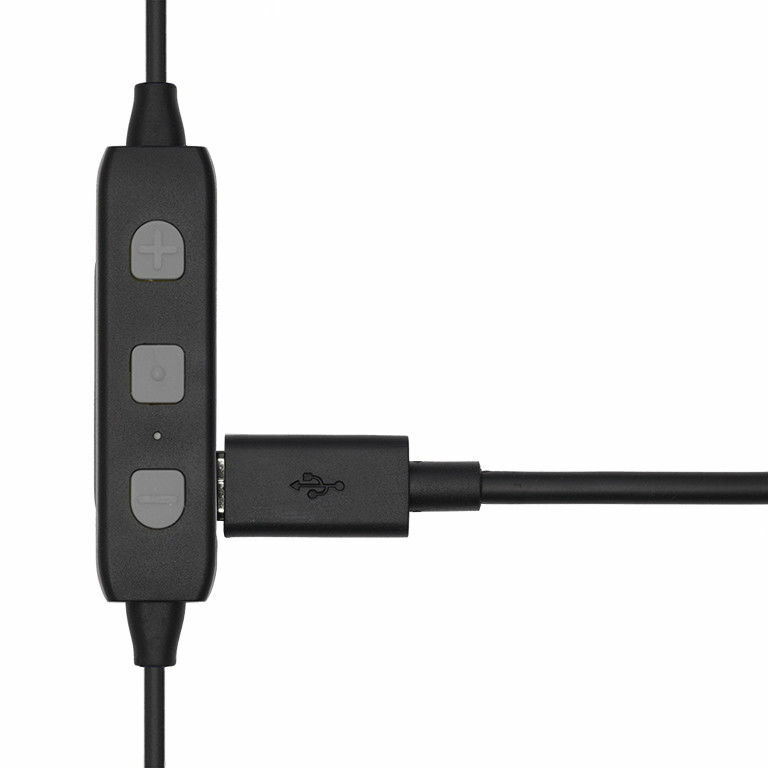 NOISE REDUCING MIC – In Built Mic – Take Phone Calls on the Go! 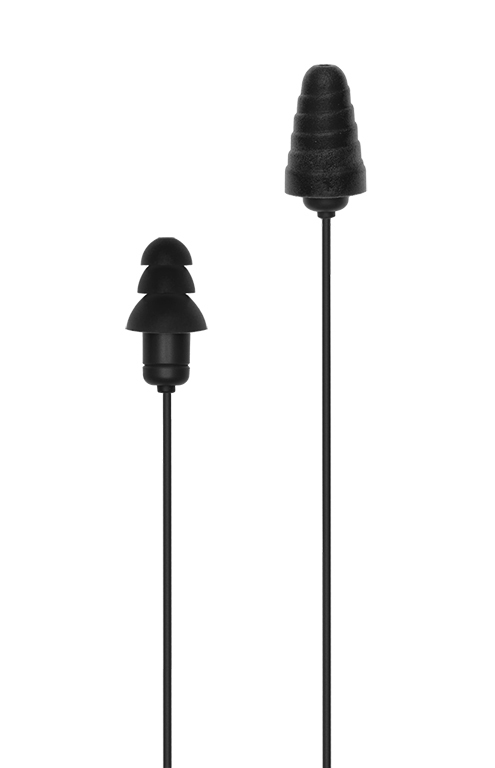 Enjoy the spoils of an earplug without going insane. Beyond streaming music, take incoming calls without having to expose your ears to unsafe levels of loudness even for a moment. Liberate is designed to be worn for extended periods of time, as such they’ve been designed for the earplug tips to be user-replaceable. 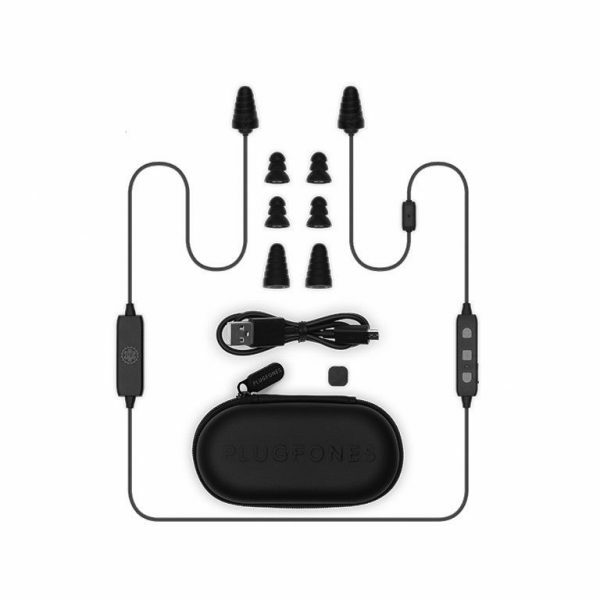 Four total sets of tips (two silicone and two foam sets) are included with each Liberate Bluetooth Earplug Headphone Set. Plugfones Liberate are ear plugs and Bluetooth headphones all in one. 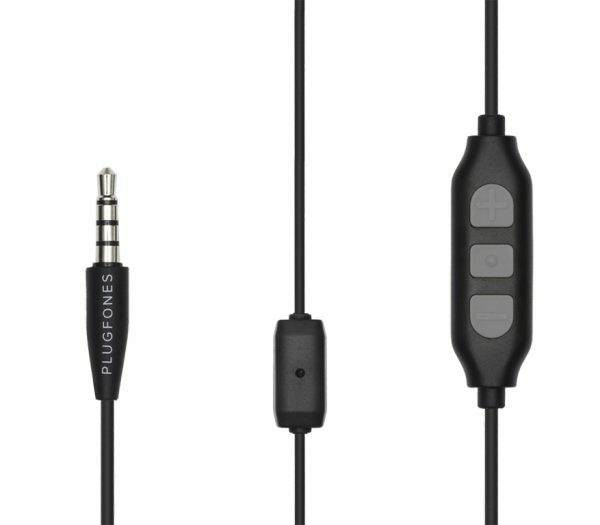 Plugfones feature a replaceable tip design to keep them new, fresh & clean, unlike other headphones. Featuring a noise reducing microphone for phone calls, which means that the person on the other end of the call can hear you but not the noise around you. Each Liberate headset has a Bluetooth 4.0 antenna, a fully sweat proof design, a noise-reducing inline microphone for voice calls. 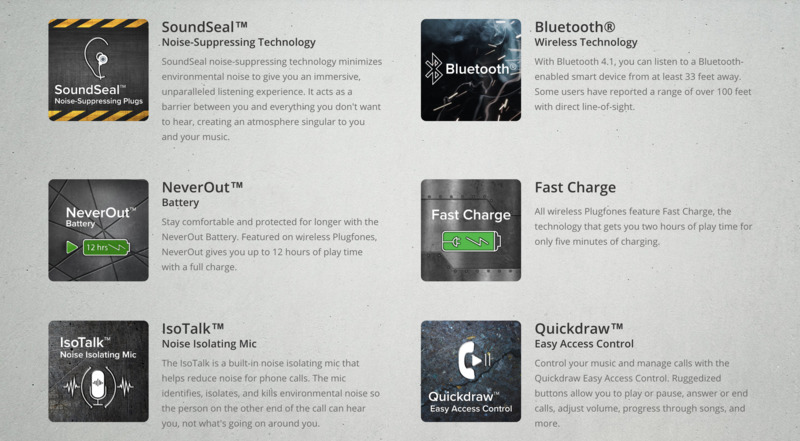 Complete with ruggedized play/pause, volume up, and volume down and song progression buttons. The handy USB charging connector is water resistant . You can expect the battery to last 8 hours on a full charge, enabling you to easily get through extended shifts without having to source power. Q: Do these provide caller ID on incoming calls? A: Yes, the headphones read off the phone number of the incoming call. They will tell you what number is calling but not the name in your contacts. Q: So can you answer incoming calls as well? A: Yes, the Liberate 2.0 allows you to answer or reject incoming calls with the buttons on the Quickdraw Easy Access Control. You simply press the centre button. A: Yes, if the radio is Bluetooth compatible. A: The NeverOut Battery gives you up to 12 hours of play time with a full charge. Q: What has improved/changed since the 1.0 version? 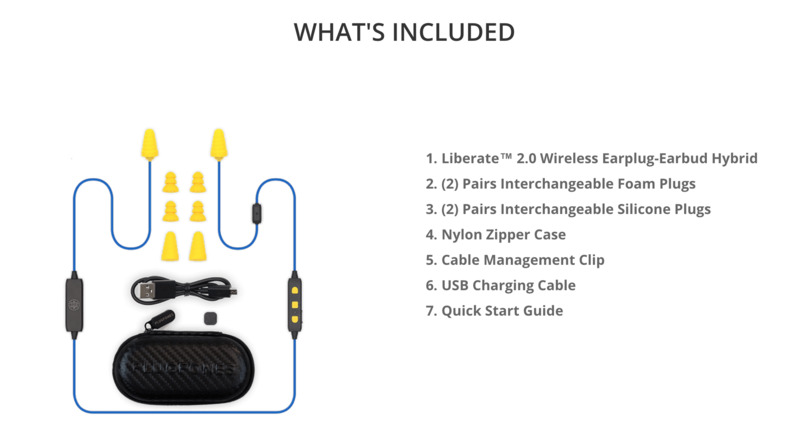 A: The Liberate 2.0 is much improved over the previous generation. 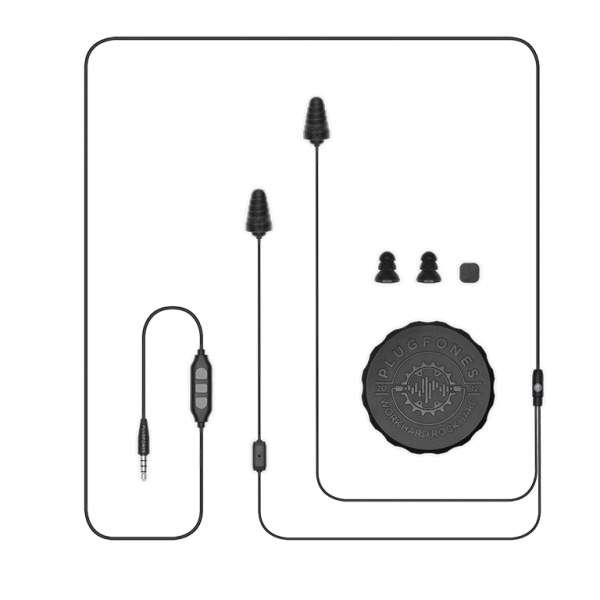 The 2.0 features Bluetooth® 4.1 with a longer range, an improved battery life of 12 hours on a single charge, a micro USB to USB charging cable rather than a charging dock, a better noise isolating mic, and more tactile buttons on the control module. Q: How far can you be away from your phone with the device near you? A: Bluetooth® technology is rated for a distance of 33 feet/10m, but some of our customers have reported a range of over 100 feet/30m with direct line-of-sight. Q: I have an Iphone and I am accustomed to using Siri to make calls. Can you make outgoing calls using the buttons on the cord? A: Yes, you can activate Siri by holding the centre multifunction button on the unit for 4 seconds. Great investment, love that they have no cables hanging down. They’re perfect for work.